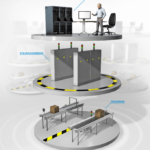 Wireless Mesh networks can transmit data via as many as 1.000 radio nodes. A unique feature of this technology is that the network is self forming and capable of changing over time. Unlike WirelessHART the Mesh network protocol ensures complete independence from a central network manager. The manager is replaced by intelligent nodes capable of linking to one another in one single autonomous Mesh network creating a complete eco-system that works no matter how big it gets. The distributed intelligence of the autonomous nodes allows for flexible and dynamic network topologies, and networks to be deployed quickly, even in the most challenging environments. 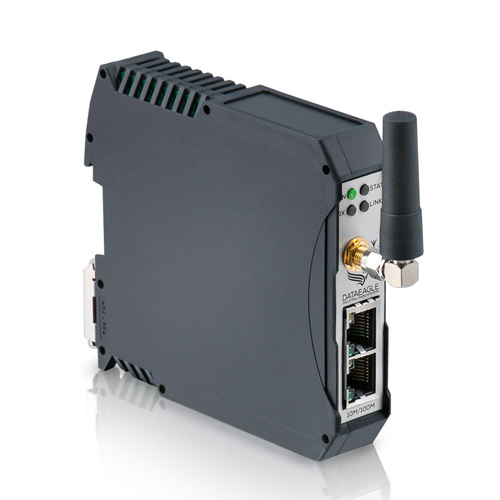 The network consists of sensors integrated with battery-powered radio modules, sending data to the DATAEAGLE compact 2M10 gateway. The gateway then pre-processes the data and forwards it to the control unit via various fieldbus protocols. 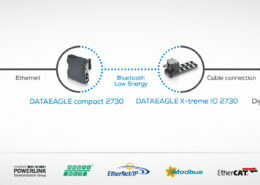 You can even channel data from cabled sensors into the network by adding the IO distribution box DATEAGLE X-treme IO 2730 to the mix. For transmission the network utilizes a specific Mesh-capable radio technology based on 868 MHz or 2,4 GHz. This radio technology is well suited to work as a direct radio interface for sensors, as these are optimized for long range and low energy consumption. Also, you can assign up to 128 nodes to not only transmit, but to receive data as well. Furthermore, you can connect the wireless Mesh network to the cloud. Doing that, data can be accessed through an online portal (Device Cloud), and forwarded to a Data Cloud or a customer portal. 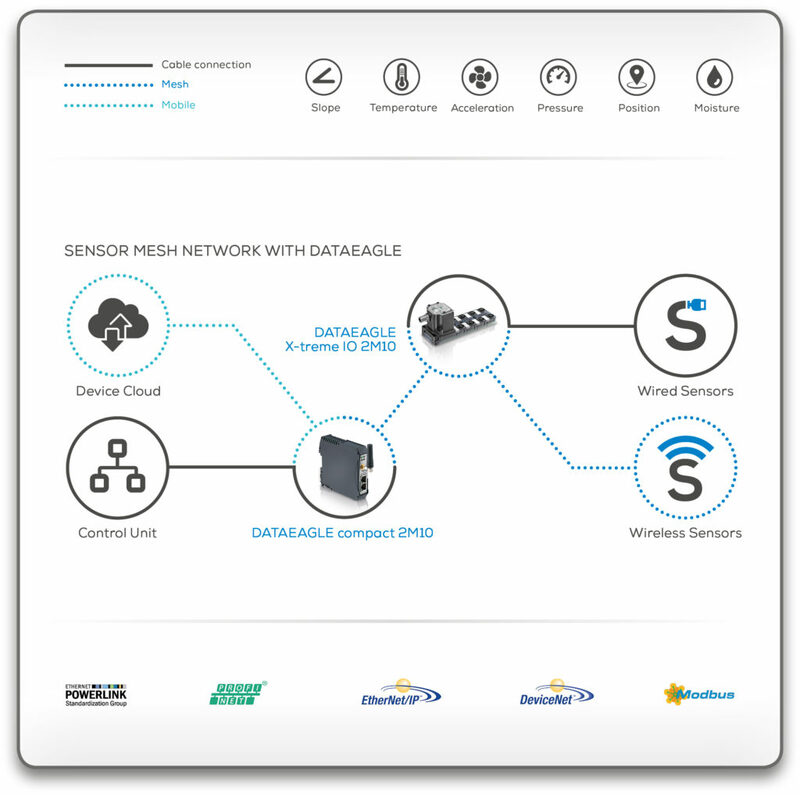 Integrating Wireless Mesh Networks of sensors into the control unit or cloud. High radio data transmission range: between two radio nodes up to 70m. 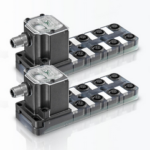 Low energy consumption: Radio technology is suitable for being integrated in wireless sensors. 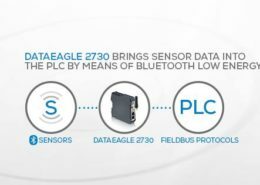 Integration into the control unit: all common Ethernet-based fieldbuses are integrated in the Gateway DATAEAGLE compact 2M10 as an interface. Device Cloud: all sensors can be monitored and managed in the online portal at a glance as well as interfaces to other cloud portals established via RESTful API. Are you looking for a cloud interface for your wireless mesh networks? The product will be available soon, let us know and we will keep you up to date.